The World Construction Symposium 2017 was held on June 30 and July 1 at Hotel Galadari. The symposium is an annual international industry event taking place in Sri Lanka focusing on sustainable construction. The symposium provides a special forum for researchers and practitioners in the area of sustainable construction worldwide to share their knowledge, experience and research findings. 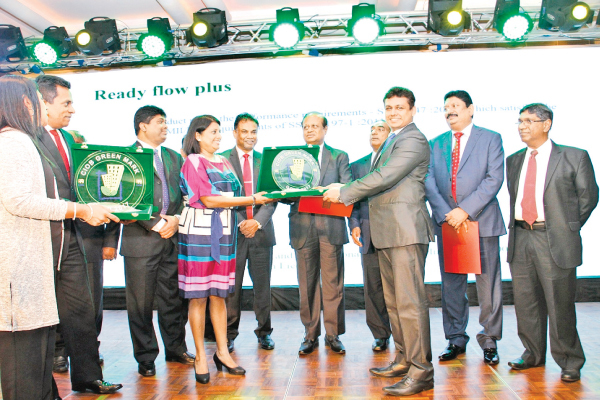 The symposium was jointly organized by the Ceylon Institute of Builders (CIOB) and Building Economics Management and Research Unit (BEMRU) of the Department of Building Economics, University of Moratuwa. The extensive technical programme at the Symposium included over 50 research papers being presented by academics and industry professionals from countries such as Sri Lanka, Turkey, Oman, India, Australia, Hong Kong and Malaysia. The papers presented were based on 26 sub-themes. Over 100 foreign delegates and over 200 local delegates attended the symposium. The symposium concluded with a panel discussion on public-private partnerships where representatives from private sector, government officers and officers from donor agencies took part and aired their views. Minister of Skill Development and Vocational Training Chandima Weerakody was chief guest at the inaugural session of the symposium. Professor Akintola Akintoye, a distinguished academic from the University of Central Lancashire, United Kingdom and Professor Srinath Perera, an eminent academic from the Western Sydney University, Australia, delivered the keynote addresses at the inaugural session. Other notable participants of the symposium were Prof. Ananda Jayawardena, Vice Chancellor of University of Moratuwa, Prof. Lalith De Silva, Dean, Faculty of Architecture, University of Moratuwa, Professor Mohan Kumaraswamy, Honorary Professor of the University of Hong Kong and Editor-in-Chief of Built Environment Project and Asset Management Journal, academics and research scholars from Liverpool John Moores University, University of Hong Kong, Indian Institute of Technology, Madras, Northumbria University, Robert Gordon University and Western Sydney University. In his address at the inaugural session, Minister Weerakody emphasized the problem faced by the construction industry due to lack of manpower and pledged his ministry’s support to initiate training programmes to train unemployed youth in vocational skills related to the construction industry and upgrade the skills of the workforce already employed in the construction industry. They said that they were thankful to the Conference Chairperson Prof. Chitra Weddikkara, Symposium Organising Co-Chairs Sagara Gunawardena and Kalana Alwis, Scientific Committee Co-Chairs, lecturers and students of the Department of Building Economics of the University of Moratuwa and staff of CIOB for their untiring effort in making this important international symposium a grant success. 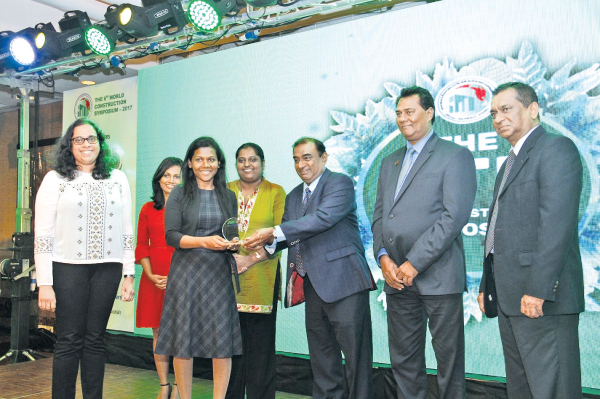 Coinciding with the World Construction Symposium, CIOB Green Mark Building Awards 2017 was held on the evening of 1st July 2017, at the Ramada Hotel, Colombo. Awards and certifications were given to organizations, products and buildings that have achieved CIOB Green Mark Certification after a rigorous evaluation process and professionals who have successfully completed the CIOB Advanced certificate course for Green Managers. Minister of Science, Technology and Research Susil Premajayantha was the chief guest at the event. In his remarks the Minister mentioned that there is a need to promote R&D in the construction industry in Sri Lanka and there is greater requirement for both the industry and the academic to work together. The prestigious World Construction Symposium will take place for the 6th consecutive year, from 30th June-02nd July 2017.